Today I am pleased to launch my new website & identity rebrand. This is just the start. There are many exciting things about to happen & a shift in focus towards what is important to me. My old site was created in a hurry and particularly hard to update. The news page often contained 1 line of information from time to time. Now I have a blog section where I can go into more depth. This will act as news, as well as a diary, blog and anything of interest. If you reads blogs, you can subscribe to my RSS feed here, or register for email updates. Over the coming months I’ll be adding more content to the site, such as code addons, experiments in the lab, behind the scenes and workshops. Created by my friends over at ico design. I gave them a mood-board of things that I liked & what direction I wanted to go in. They initially presented various routes, each very different. After picking one route, many iterations later they came to the end result we were all happy with. They also designed the overall look of this site, which I then tweaked slightly and built. 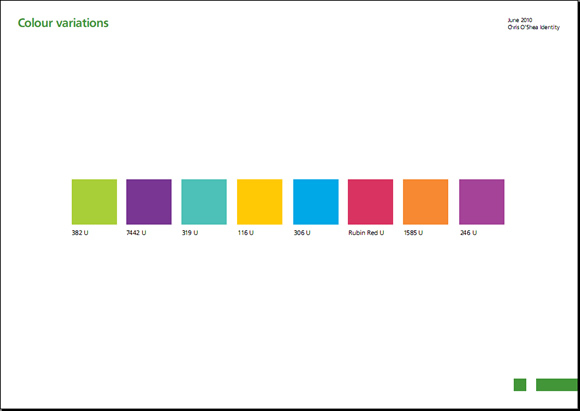 My brand guidelines from ico design showing the colour palette..
What do you think? Get in touch.